– Google is aiming to integrate many of its existing tools directly into Plus. Plus will eventually become what Google calls “The Social Spine” of its products. The ability to share with others and interact socially will be available through Plus for documents, photos and photo editing, games, events and more. – Circles can be an effective marketing tool. Not only can you curate circles of alumni, students, media and other focused groups to target with messaging, circles can also be shared with others to boost followership. For example, a school’s page could share a circle of key publications it recommends its students keep updated with. A professor could also create a circle of students in his or her class, and then share the circle so that everyone could connect with each other. – Hangouts are a key advantage for Plus, and can be used for one-on-one and one-to-many. From a professor using a Hangout for virtual office hours, to a Hangout on Air, broadcast live on YouTube to showcase a campus event, Hangouts can be used for many different applications. – Plus activity affects search. Google’s “Search Plus Your World” makes Google Plus an integral part of more personalized search. Participation in Google Plus provides an advantage when someone searches for your department or institution, and can connect with you directly. – Providing social context with Plus can also affect your AdWords campaigns. Google Plus page endorsements and campaign extensions, according to the representatives who spoke with us, can have a positive impact on click-through rates of AdWords campaigns. If you use AdWords, this is something to consider. I am still very skeptical about Google Plus. 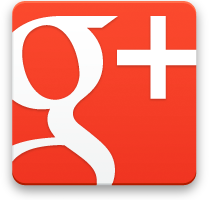 I have yet to find an application for Google Plus that I can’t get from my other established social media. It will take a great push from Google, which they are doing, to get people to use Plus on a regular basis. But, what do I know. I didn’t fully understand why people would use Twitter when it first came out. I still don’t have a Google Plus account. I keep reading about how well it ranks at SEO automatically because of its Google influence but I know that none of my friends use it. Blogs like http://www.mashable.com and http://www.simply-social.com.au keep trying to convince me to create one. What a luck, just what’ve been looking for. Thanks for your post, comes really useful. Great post, thanks for your contribution. Wonderful blog! Do you have any tips and hints for aspiring writers? I’m hoping to start my own website soon but I’m a little lost on everything. Would you propose starting with a free platform like WordPress or go for a paid option? There are so many options out there that I’m totally confused .. Any tips? Cheers! Howdy! I know this is kinda off topic but I’d figured I’d ask. Would you be interested in trading links or maybe guest authoring a blog article or vice-versa? My site discusses a lot of the same subjects as yours and I believe we could greatly benefit from each other. If you are interested feel free to send me an e-mail. I look forward to hearing from you! Fantastic blog by the way! Thanks, another quality post from you. Hey there would you mind letting me know which web host you’re working with? I’ve loaded your blog in 3 completely different internet browsers and I must say this blog loads a lot quicker then most. Can you recommend a good internet hosting provider at a reasonable price? Cheers, I appreciate it! Quality post, keep up the amazing work. Thanks for the post. I really enjoyed reading it and I appreciate your insight! Good information, precisely what I’ve been looking to find. Appreciate the quality information you have provided herewith. Thanks. Superb blog! Do you have any hints for aspiring writers? I’m hoping to start my own site soon but I’m a little lost on everything. Would you propose starting with a free platform like WordPress or go for a paid option? There are so many options out there that I’m completely confused .. Any ideas? Thanks a lot! I wouldn’t want to miss your next article, subbed. So how exactly did you come up with this? Hi there I am so happy I found your site, I really found you by error, while I was searching on Digg for something else, Anyhow I am here now and would just like to say thanks for a tremendous post and a all round enjoyable blog (I also love the theme/design), I don’t have time to read it all at the minute but I have saved it and also added in your RSS feeds, so when I have time I will be back to read more, Please do keep up the great work. Appreciate your posting here, really useful. back to your weblog? My blog is in the exact same niche as yours and my visitors would genuinely benefit from a lot of the information you present here. and additionally finding Cancun travel deals can be much easier within the “off-season” months. of reach ffor some people. Sped is another thing you’d want to consider in your mixer. Be it a simple inquiry or a raging complaint, every company is expected to respond and to serve. Here is a simple follow-up log thast you can use with your team. customers because they do not know the exact position placements.